When many people are looking forward to a holiday caterers can find they are working harder than ever. 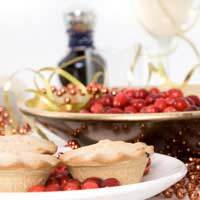 With a little planning in the summer months Christmas can be a very lucrative time for those in the catering industry. With most local newspapers now online it is worth reading the advertisements for last year’s Christmas events in your locality. Make a list of every venue, golf and sport clubs, pubs and businesses. Tailor a newsletter or flyer to suit the business or venue and aim to deliver them all by mid September. If you have an email address for the business or venue also send an online newsletter. Follow up the written contact with a telephone call to discuss the client’s requirements. Talking to potential customers will gain more work than simply sending the written word. In this time of economic cutbacks many businesses will be looking to make savings on their usual Christmas staff celebrations. If you can offer to deliver the food for a staff party or supply a hot sit down meal that can compete with the restaurant that they usually attend then the job will most likely be yours. These venues are most likely the busiest of all social venues over the holiday period. If you can supply food for their events it will save them the cost of staff and preparation time. Theme food such as a curry night, oriental theme or American theme could earn you points when trying to sell your services. These days most schools and colleges don’t just have parties but prom nights and graduation events. Teachers and parents are busy organising the party so your business could be ideal for these busy people. Delivering food, being there to serve and also clearing up will appeal to many members of the PTA committee. Many people these days dread hosting big family events as cooking is a lost skill in many households. Consider delivering a complete party in a box for a set fee and you could be onto a winner. Leafleting house to house in chosen areas will bring an interest to your business. A box with every component for a successful party complete with disposable tableware is very appealing. You could also offer staff to wait on tables and serve hot meals. Make sure that all your Christmas promotions are shown on your website. These do not have to be expensive specialist designed sites but something you can buy and prepare yourself for under £50.00. Advertising can be expensive. You will be able to haggle with most advertising departments but do not get talked into making big investments as it will eat into your budget. Your aim is to work hard through Christmas and come out the other side with a healthy bank balance. Try to make your advertisement read more like an article and show some comments from satisfied customers. These are called advertorials and are quite popular in local newspaper advertisements. Do you have contacts within the entertainment industry? Why not advertise each other’s services both on advertising literature and on your websites? With a little thought and planning your Christmas will be busy with lots of extra work and new customers that will come back to you time after time.